Your new SCRIBE! Media Magazine Basic, for Associate members of AmSAW, has just been released. Check out all the news, writing tips, and other offerings today's busy writer can't do without. And for even more inside information, plus freelance writing gigs, book-and-magazine markets, agency and publisher updates, and all the e-mail contacts you could ever hope to find, upgrade to Professional membership. You can get the inside edge on your competition for only 16 cents a day! Check us out today. And let us hear from you. We're always ready to help. It's not often that a member of academia breaks out of his field to become a best-selling author, but it happened just that way for Daniel J. Boorstin. He was born in Atlanta, Georgia, on October 1, 1914. Raised in Oklahoma, he was graduated with honors from Harvard, studied at Balliol College, Oxford, as a Rhodes Scholar, and earned his PhD at Yale. Boorstin taught for years at the University of Chicago, and he has held many teaching positions abroad with stints at the University of Rome, the University of Geneva, Trinity College, Cambridge, and the Sorbonne. He was also the twelfth Librarian of Congress. When President Gerald Ford nominated Boorstin to the position in 1975, the Authors League of America supported him, although the American Library Association objected because he "was not a library administrator." The Senate confirmed the nomination without debate. During his term as Librarian of Congress, Boorstin established the Center for the Book to encourage reading and literacy. He also spearheaded what became a 10-year project to completely renovate the Thomas Jefferson Building of the Library of Congress, restoring the main building to its original 1897 condition. After retiring in 1987, he was named Librarian of Congress Emeritus. Boorstin's books have been translated into over twenty languages and have won numerous awards. The Americans: The Colonial Experience, the first in a trilogy of books, won the Bancroft Prize. His follow-up, The Americans: The Democratic Experience, won the Pulitzer Prize; and his third, The Americans: The National Experience, won the Francis Parkman Prize. Boorstin is one of only a few people to have won all three awards. The author's other works include The Creators, The Discoverers, and Cleopatra's Nose: Essays on the Unexpected. Boorstin has won Phi Beta Kappa's Distinguished Service to the Humanities Award and the National Book Award for Distinguished Contributions to American Letters. Daniel Joseph Boorstin died of pneumonia on Feb. 28, 2004. A Fantastic Journey, by William James "Dare to dream..."
As an author, I am intrigued with the writing skills set into this book. D. J. Herda has created a wonderful journey into the historical past to bring the character of Doc Holiday to life. This is good... no, this is a great work. "You see when a man loses his woman to another man, it is a serious matter. When a man loses his horse to another man, it is unforgivable. But when a man loses his gun to another man, it is inconceivable." 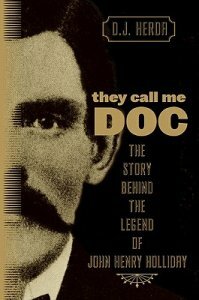 D. J. Herda , in They Call Me DOC, revives the Wild, Wild West through one of its most famous gunfighters, gamblers, and prominent figures, John Henry Holliday, also known as DOC. His voice is alive, vivid, to the point where you think he is sitting in front of you at a table in the dusty old Coral, giving you an account of his entire life over a glass of whiskey. You laugh and cry with him and want the story to go on forever. This is the very first book written since Gone With The Wind that enticed me to learn more about a highly controversial time, place, and people in U.S. history, where the conflict between North and South lynched mercilessly many innocent lives and divided a nation. Those were the times that nurtured John Henry Holliday, the young man who overcame gruesome health and circumstantial obstacles to become a dentist and use his agile mind in many more ways than one. The southwestern mentality and take on life are powerful and well grounded in the fundamental principle that when the law fails to provide justice, the man steps forth. "The code of the West took precedence over the laws of mere mortals. We had `right' on our side." But Western justice, guns, and gambling are not entertaining without a "darling whore." Kate, Doc Holliday's love, is a woman of substance, a fact that proudly defies the hazardous prejudice attached to one of the oldest occupations in human history, prostitution. There is so much more to this woman than the legend portrays, and D. J. Herda, I mean the DOC, does her "right" by telling us the truth, the formidable nuances of her life and his, that no other source has ever managed to provide to us before. Oh, by God, I wish the DOC had lived longer! Happy reading! I just finished reading your book "They call me Doc" and I just wanted to thank you for writing the best book probably ever written about this great misunderstood man. I love the way you wrote it. It was as if Doc was talking to me through the whole book. I posted it on my facebook page also because everyone that is interested in the history of the old west needs to read it. John Henry Holliday was a good man that was forced into the life that he lived and you brought that out really well. Thanks again for writing this great book. One of the most influential authors of the Beat Generation was born on Feb. 5, 1914, in St. Louis, MO. Besides being the grandson of the wealthy inventor of the mechanical adding machine, William Seward Burroughs was one of the founders of the Beat movement that included Neal Cassidy, Jack Kerouac, Allen Ginsberg, and others. Burroughs is best known for his realistic novels about drug addiction and drug culture, including Junky (1951) and Naked Lunch (1959). Burroughs studied English literature at Harvard, which was a calving ground for many of the writers who took their place in the Beat hall of fame. He did graduate work in ethnology and archaeology and worked a variety of jobs during World War II. He was a plain-clothes detective, exterminator, advertising copywriter, factory worker, bar attendant, and waiter. While drifting from job to job, he met Lucien Carr, Jack Kerouac, and Allen Ginsberg in New York City around Christmas 1943, shortly after Ginsberg began studying at Columbia. Burroughs impressed them with his scholarship, as well as his sardonic sense of humor and the reserved poise that often comes with a wealthy birthright. Older than the others in the group, Burroughs took on the role of father figure and mentor, encouraging Kerouac and Ginsberg in their attempts to write fiction and poetry. He felt a special affinity toward them because they were kindred spirits, dreamers, fantasizers. He said, "There couldn't be a society of people who didn't dream. They'd be dead in two weeks." Early in his writing career, Burroughs collaborated on a humorous sketch with a Harvard classmate, Kells Elvins, and on a short Dashiell Hammett-style novel with Kerouac, but publishers rejected both works, and Burroughs began to doubt his own literary talents. His continuing search for an identity led him to seek out the criminal elements in society. Hoping to fit in with a "community of outlaws," he began buying stolen goods, including morphine, and in 1944, he became addicted to the drug. In 1947, he moved in with Joan Vollmer, another member of the group around the Columbia campus, and she gave birth to their son, William S. Burroughs, Jr. Joan, too was an addict, making Benzedrine her drug of choice. The couple moved to New Orleans, Texas, and Mexico City in order to obtain their drugs more easily. In the spring of 1950, Elvins visited Burroughs in Mexico City and talked him into writing a factual book about his drug experience as a "memory exercise." Burroughs set a daily schedule and mostly kept to it with the help of daily injections of morphine. He finished the project in December and titled his book Junky. He sent the manuscript to Lucien Carr in New York. Finally, Ginsberg obtained a copy and was able to get the book published as a pulp paperback in 1953 under the pseudonym "William Lee." The cover sported the lurid subtitle, Confessions of an Unredeemed Drug Addict. On September 6, 1951, Burroughs accidentally killed his wife at a party while attempting to shoot a martini off her head with a pistol. He was stoned, and the bullet penetrated her forehead, killing her instantly. He was taken into custody and charged in Mexico City with criminal imprudence. His parents took over the care of William Junior and brought him to their home in Florida. Released on bail, Burroughs left Mexico and traveled throughout South America looking for a drug called yage. His letters to Ginsberg describing his experiences in the cities, jungles, and mountains of Ecuador and Peru were collected in a volume later published by City Lights as The Yage Letters (1963). Burroughs thought the pieces would interest the same readers who had made Aldous Huxley's The Doors of Perception (1954) so successful. After Burroughs left South America, he settled in Tangier, where he found he could live cheaply and obtain the drugs he needed for his very survival. 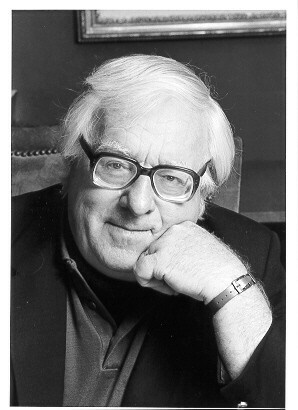 His wife's death created in him a type of literary urgency. He felt that he had been possessed by an invader, "the Ugly Spirit," who controlled him at the time of the accident and maneuvered him into a lifelong struggle, "in which I have had no choice except to write my way out." In 1957, Kerouac visited Burroughs in Tangier and began to type the hundreds of handwritten pages of Burroughs' new book, which Kerouac titled Naked Lunch. Afterwards, Burroughs said he was "shitting out my educated Middlewestern background once and for all. It's a matter of catharsis, where I say the most horrible things I can think of. Realize that--the most horrible dirty smelly awful niggardliest posture possible...."
Burroughs continued to work on the book until its publication in 1959, thinking of it as a picaresque novel narrated by his alter ego, "William Lee." His biographer, Ted Morgan, understood that Burroughs shared the "New Vision" of the writer as an outlaw, creating a "literature of risk." The compression and urgency of Naked Lunch in "the fragmentation of the text is like the discontinuity of the addict's life between fixes....For Burroughs sees addiction as a general condition not limited to drugs. Politics, religion, the family, love, are all forms of addiction. In the post-Bomb society, all the mainstays of the social order have lost their meaning, and bankrupt nation-states are run by 'control addicts.'" After leaving Tangier in 1957, Burroughs traveled to London to enroll in apomorphine treatment--still banned in the U.S.--for his drug addiction. The treatment failed, and he slipped back into his more familiar ways. Burroughs found the English literary scene to be terminally depressing. "England has the most sordid literary scene..." he said. "They all meet in the same pub. This guy's writing a foreword for this person. They all have to give radio programs, they have to do all this just in order to scrape by. They're all scratching each other's backs." Burroughs published several more novels, including Queer, which he wrote in 1951 but wasn't able to get published until 1985. The book shared the same protagonist as Junky, but the homosexual subject matter--although handled honestly--was considered in poor taste and kept the book from being published at the time. Burroughs kept a daily journal with three separate columns in it. In one, he wrote what he was doing. In the second, he wrote what he was thinking. And in the third, he wrote what he was reading. He carried with him notebooks, news clippings, and photographs, as well as scissors, paste, and a tape recorder--all of which he considered part of his writing tools. "In my writing," he said, "I am acting as a map maker, an explorer of psychic areas...a cosmonaut of inner space, and I see no point in exploring areas that have already been thoroughly surveyed." In his later life, Burroughs moved to a small two-bedroom cottage in Lawrence, KS, where he lived with his cats. He took up painting and collage, turning out abstract works of art characterized as expressive surrealism. Devoted to truth in all the arts, Burroughs said, "So cheat your landlord if you can and must, but do not try to shortchange the Muse. It cannot be done. You can't fake quality any more than you can fake a good meal." William S. Burroughs died in Lawrence at 6:50 p.m. on August 2, 1997, from complications of a heart attack he had suffered the previous day.